Stop and Smell the Coffee!! Sometimes in life it’s a good idea to stop and smell the coffee. For many people roses do the trick but for me, there’s nothing quite like the smell of my morning latte. My mornings are consumed mostly by the stressful pandemonium of getting the kids squared away for the day. I need to make it a point to do something for myself, something that slows everything down even for just 10 or 20 minutes. My morning latte routine is simple but has a few celebratory things about it. 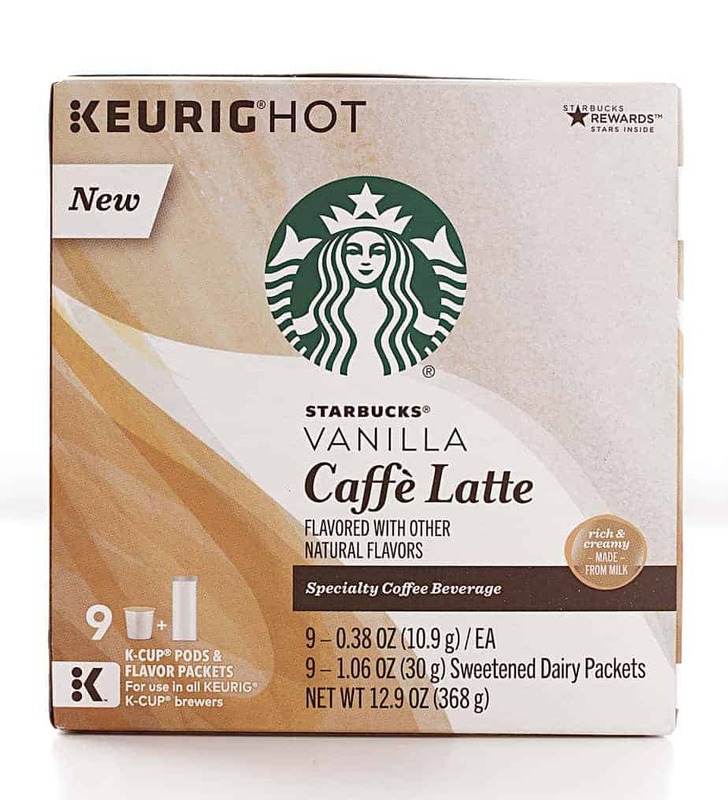 For one, I discovered a delicious home latte option in Starbucks® Caffé Latte K-Cup® pods . 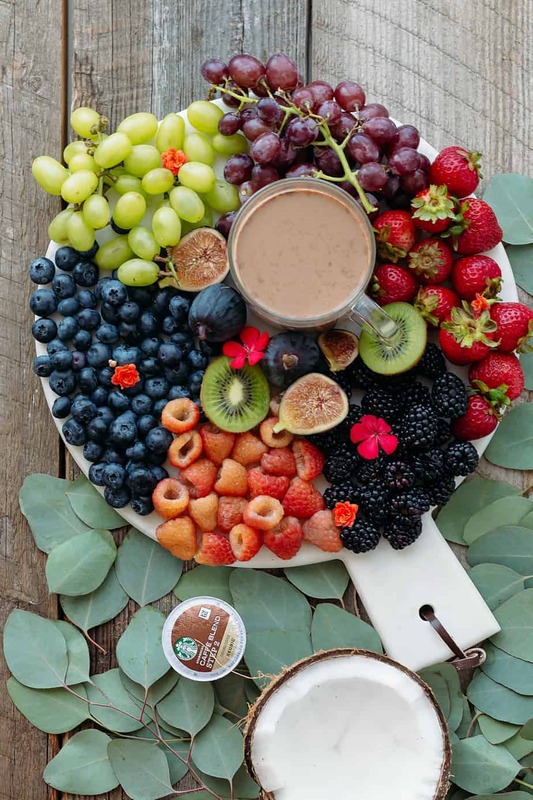 They come in 3 varieties — mocha, vanilla or caramel — each with a bold and creamy taste. I like going through the steps of making my latte, as the smell hits me first and makes me want that first sip even more. I personally love the smell of the caramel the most, but rotate all three into my week. My Keurig® has a nice new and colorful design, and this brewing format is such a great way to consume a latte. 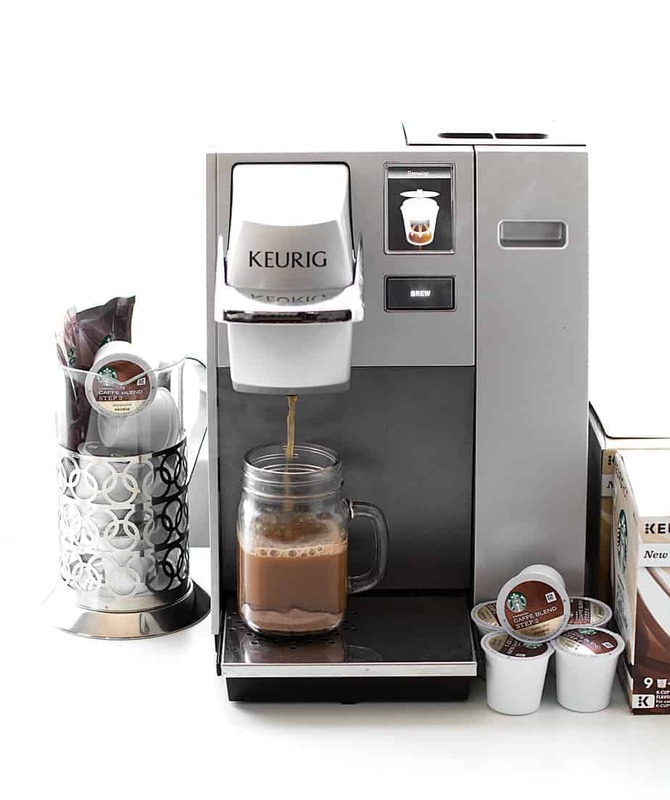 It has the Starbucks® taste behind it with the convenience of Keurig®…. can’t beat that! Another thing I do to celebrate my mornings, and specifically my latte break, is to always have my stack of magazines close by. I consume most of my news and everything else from the web these days, but there’s something fun and relaxing about opening my favorite magazines. One last celebratory “enjoy the moment” step of my mornings is to put on some classical music as I sip my drink which of late is a Starbucks® Caffé Latte . I was no music major and know very little about the different composers, but I do know that classical music resonates with me and always seems to enhance my mood. If I can sneak this into each weekday, and have a similar session on Saturday or Sunday it will completely elevate my mood. I have other celebratory moments injected into my day, too. Five minutes after I pick up my kids I always find out what they did that day in school. It slows the world down for me and nothing else matters during that time. What are some celebratory moments that you enjoy in your daily routine? I just received a sample of this in the mail. I can’t wait to try it as sounds so yummy. I love their mocha cafe latte. In fact, I’ve yet to find any flavors for my Keurig that I don’t like. Yummy. I wish I liked coffee! 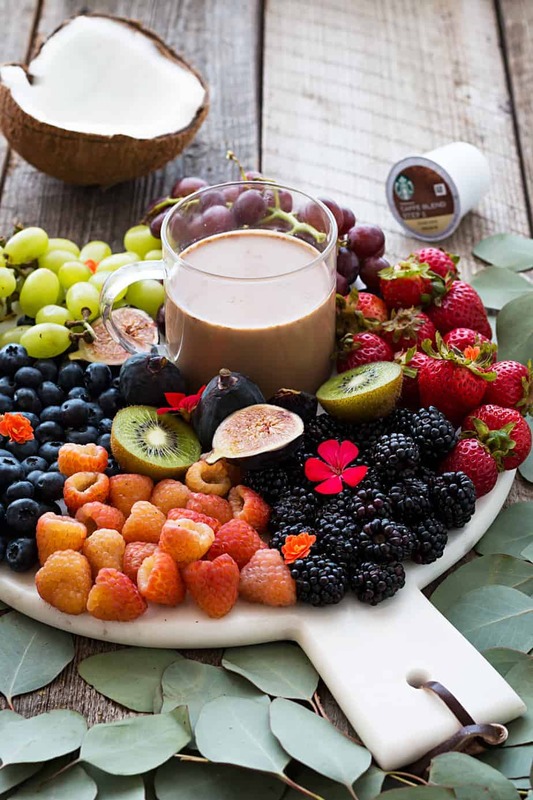 But the fruit platter looks amazing. I might get a Keurig and just use it for tea and hot chocolate. I love Starbucks! I can’t wait to try this! K-Cups pods are an easy way to enjoy a great cup of coffee. I love that Starbucks are now available and in latte style. This is perfect for my hubby and parents. I usually do tea and hot apple cider. I need to try this really soon! I love, love Starbucks!! Now this is a great way to wake up in the morning! Everything looks so good! Your shots are pretty awesome. 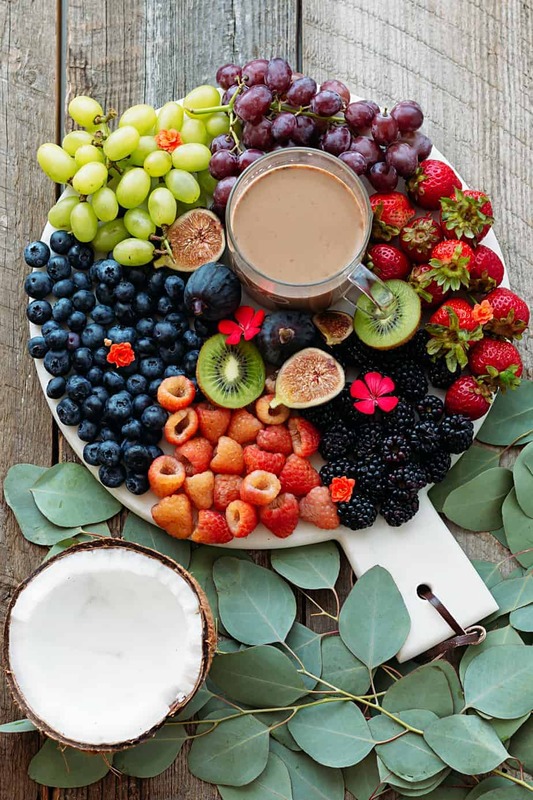 Fruits looks fresh and yummy. I would love to eat them all! 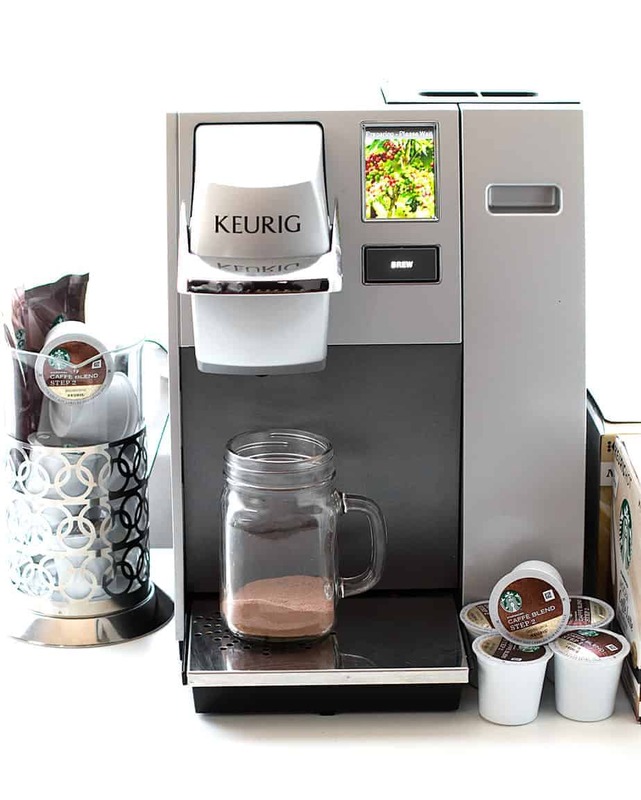 Your Keurig looks so awesome!! I would love have this coffee everyday. We finally have a starbucks here but its mondo filled to capacity everyday. I guess have to wait to for the novelty to die off so I can have peace and quiet there. Oh my, the photography is amazing. I have a Keurig in my home too because it’s such an easy way to make coffee in the morning. 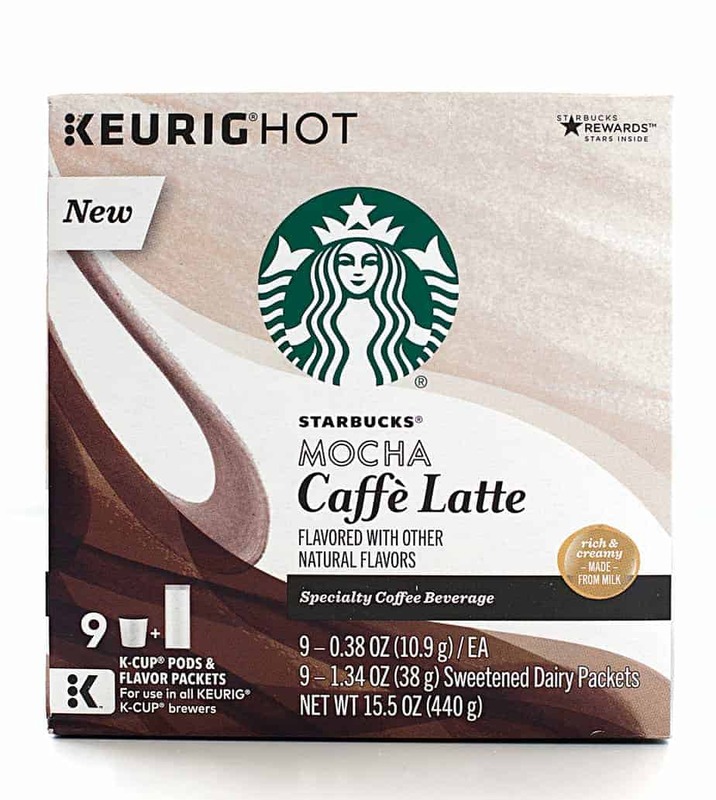 I’ll have to try the Starbucks Mocha Caffe Latte k cup. I’m adding this to my wish list. Would be so cool to try the K-cups!